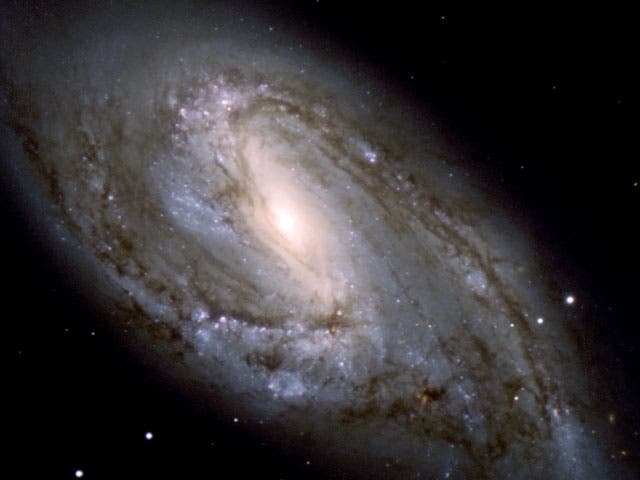 The spiral galaxy NGC 3627 is located about 30 million light years from Earth. The composite image below includes X-ray data from NASA's Chandra X-ray Observatory (blue), infrared data from the Spitzer Space Telescope (red), and optical data from the Hubble Space Telescope and the Very Large Telescope (yellow). 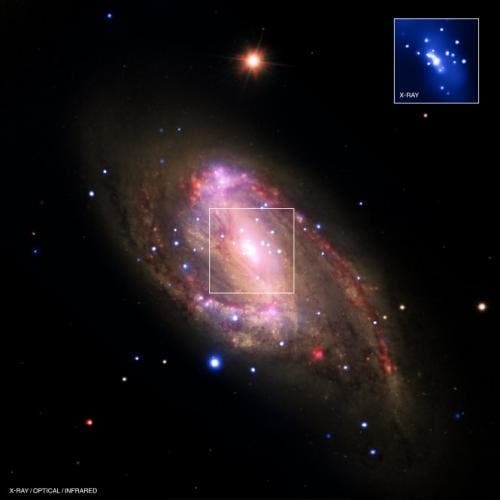 The inset shows the central region, which contains a bright X-ray source that is likely powered by material falling onto a supermassive black hole. A paper describing these results was published in the April 10, 2011 issue of The Astrophysical Journal. The authors are Catherine Grier and Smita Mathur of The Ohio State University in Columbus, OH; Himel GHosh of CNRS/CEA-Saclay in Guf-sur-Yvette, France and Laura Ferrarese from Herzberg Institute of Astrophysics in Victoria, Canada. Journal reference: Astrophysical Journal.